Unstructured play is a category of play (as opposed to a type of play) in which children engage in open-ended play that has no specific learning objective. Unlike structured play, unstructured play is not instructor-led, so parents, teachers, and other adults do not give directions. It also does not have a particular strategy behind it. Unstructured play is often informally referred to as simply "letting kids by kids" or "just play." At times, you may also hear it called "free play" or self-play." Rather than have a purpose, the play and activities are child-led, often leading to play that is creative and improvised. Unstructured play doesn't necessarily mean a child plays alone. Play partners in the form of peers, siblings, and even parents can definitely take part in unstructured play with a preschooler. Building a free-form city with blocks is unstructured play. Following directions to put together a Lego kit is structured play. Singing silly songs out loud is unstructured play. Singing silly songs out loud about the days of the week is structured play. In both cases, neither one is more important than the other. Both are necessary and both fulfill basic needs in early childhood development. Unstructured play is important for a child because it gives them a sense of freedom and control. It also allows them to learn about themselves, what they like and don't like, and even make mistakes without feeling any pressure or failure. 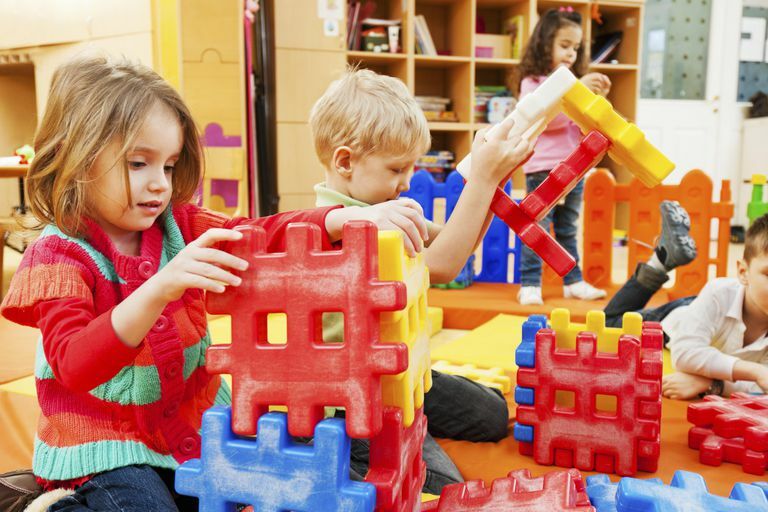 Many experts feel that unstructured play is a necessary part of childhood. It is recommended by the Society of Health and Physical Educators (Shape America) that preschoolers engage in some form of unstructured play for at least an hour each day. Several hours is even better. Hula hoops: While most preschoolers aren't physically able to hula hoop properly, they certainly can have fun with one. Juggling scarves: Again, they probably won't use the scarves as intended, but a little one will come up with plenty of creative uses. Buttons: Do be wary of choking hazards. Leave these and similar items out for your child and you will be amazed at the creativity that your little one engages in. It is important to note that unstructured play isn't the same as unsupervised play. Preschoolers should always be under the direct supervision of a parent, teacher, or other trusted adult. Unstructured play is just one of the many physical activities for preschoolers. It lets your little explore their imagination and the things around them. In a time when so many of us deal with hectic schedules, it's good to remember the importance of a little free time. You might even join in ​on the fun. It can do you some good as well. Society of Health and Physical Educators. Active Start: A Statement of Physical Activity Guidelines for Children From Birth to Age 5. 2nd ed. Shape America. 2009.